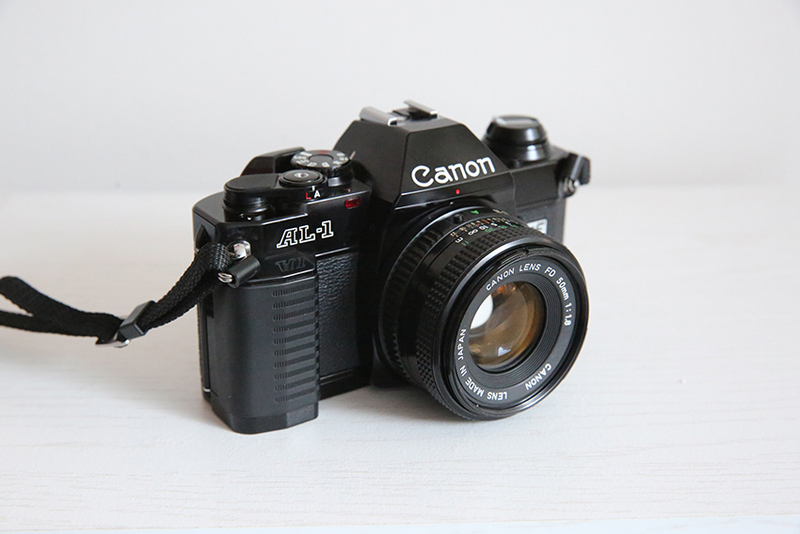 The AL-1 made its appearance on the market in March of 1982 and sold for 58,000 JPY (body) or 90,000 JPY with a 50mm f/1.4 lens. It is fully battery-dependent, requiring 2 AAA batteries. 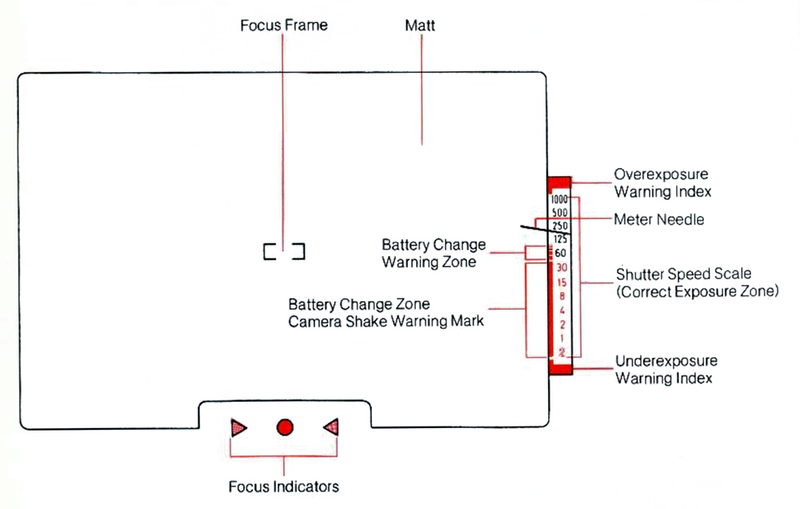 I think it was Canon's attempt to understand user reaction to focus-assisted SLRs, especially since the Autoboy series, which were the fully autofocus compact cameras, were already very popular. The focus-assist mechanism in the AL-1 worked through a series of 3 CCDs at the bottom of the camera which measured contrast. A complex pattern etched on the main mirror of the camera reflected just enough light into the CCDs. Focus indicators within the viewfinder, which were activated whenever the shutter button is depressed, give users a pretty handy indicator as to which direction they should move the focus on the lens. The photo below captures the complex pattern etched into the mirror. Aside from the focus-assist mechanism this camera was decided no-frills; it does feature auto exposure, however. 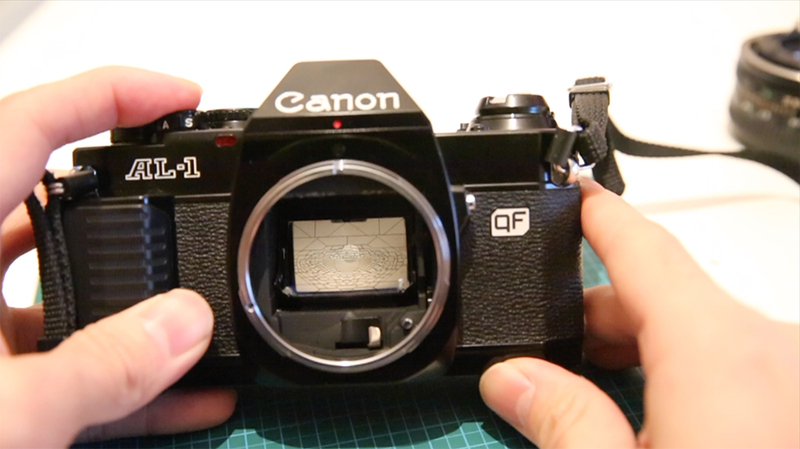 I profile the focus mechanism in the AL-1 in the following video. I am well aware that the camera viewfinder is particularly messy, since the sealing tape appears to have disintegrated (as you can see in the image above). Cleaning it remains a work in progress!